From when she was born, Kitty Jay was constantly abused, abandoned and ostracized. Her life was one of torment until she tragically took her own life just before her 20th birthday. 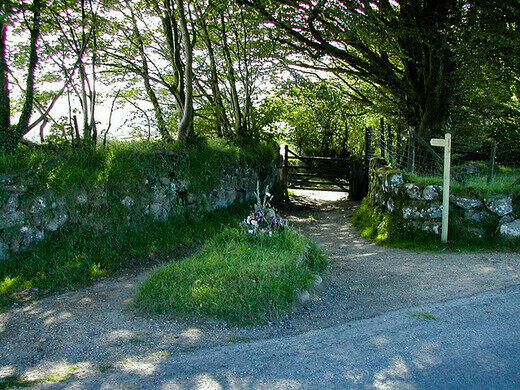 Forgotten by those of her own time, her sad legacy is preserved by a single gravestone in Dartmoor, where she has rested alone for 200 years. 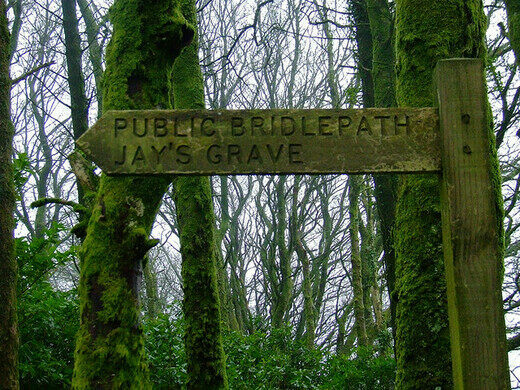 Mary Jay was abandoned by her mother in the late 18th century and given up to a local orphanage. She was given the surname J (stylized as Jay) because she was the 10th girl to arrive at the orphanage. Until her teens Mary was content at the orphanage, living and taking care of the younger children, but living in disgrace as a penniless orphan. When she grew older, she was sent to Canna farms near neighboring Manaton in Dartmoor to earn money. She was employed to work in the house as help, and also in the field as a laborer. At this point in her life, she was given the nickname Kitty, which had become synonymous with promiscuity. Shortly after she arrived at the farm, she was raped by a male farmhand and became pregnant. Cursed by the locals as a whore, she was forced to leave the farm, as no one would employ such a woman. With nowhere else to turn, she ended her life by hanging herself in one of the local barns. Since she had committed suicide, she was not allowed to be buried on church land. Instead, she was buried at the crossroads of three parishes, none of which would accept and bury her. Following her death, stories of haunting began immediately, as locals claimed a hooded figure often knelt by the grave in the moonlight. 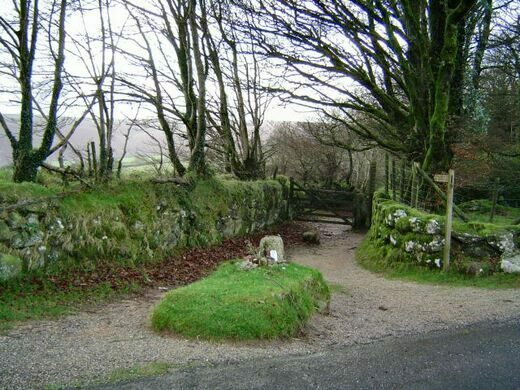 Legend asserts that the spirit of Kitty Jay haunts her grave and Dartmoor. Besides the ghostly happenings around her grave, fresh flowers mysteriously appear on the grave everyday, with no indication of who places them there. The tales of the supernatural surrounding the grave has drawn visitors for years, hoping to catch a glimpse of Kitty Jay or the spirits that haunt her lonely grave.